My new ebook is now available on my web site. 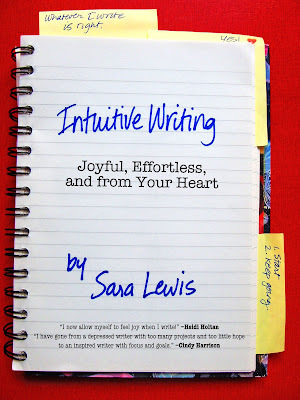 Intuitive Writing is the companion book to my coaching courses for writers. Many of you have already used this material in a different form to quickly and easily move ahead with your writing. If you aren't familiar with it, this book is a practical how-to writing guide along with personal stories from my writing life. You'll find tried-and-true techniques (that I've developed on myself) for increasing your writing flow, using your intuition to guide your writing, and especially for making your writing process more fun and joyful. (I even have a chapter on Healing Writer's Heartbreak. Anybody been there?) Those of you who are enrolled in my in-person class in San Diego, starting Wednesday, September 17, this ebook will make your experience even more powerful. 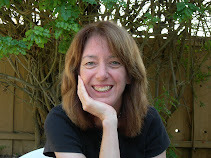 Quite a few of you have asked when the distance classes on Intuitive Writing will begin again. I now have an answer for you: September 27! Intuitive Writing is a self-paced 6-week program that includes a daily email from me to encourage you and help you to stay focused, the new ebook, 2 hypnosis downloads, membership in an online Yahoo group, and private coaching. Past clients/students have seen huge improvements in writing productivity. And I'm even prouder of the fact that they tend to feel much better about the writing process. More joy, less anxiety. More fun, less guilt. More ease, less struggle. I've witnessed some pretty amazing transformations. I do not offer critique. Instead, I offer what you really need: encouragement, support, structure, and nurturing of your unique creative gifts.